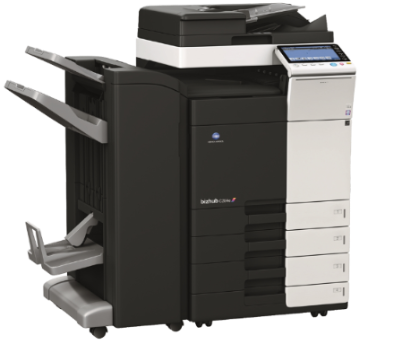 Our range of digital office solutions combine performance with exceptional print quality and unsurpassed reliability. Low energy consumption. Long life consumables. Low total cost of ownership. Click the tabs to discover our range of colour and mono devices. 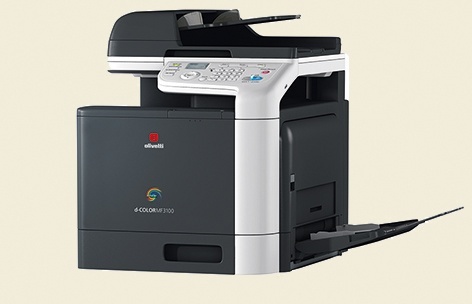 Colour Printer, Copier, Scanner with Optional Fax. 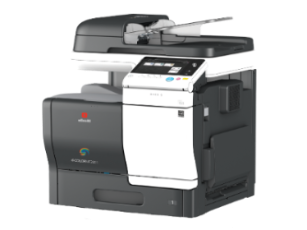 Speeds of 25, 30 or 36 Pages Per Minute in Colour & Mono with 100% Duplex Speed. Handles up to SRA3 Size Paper in Standard Trays and Banner Paper through the By-pass. Optional Dual Scan Document Feeder. Standard 250GB Hard Disk with Optional Hard Drive Available to Enable HDD Mirroring. 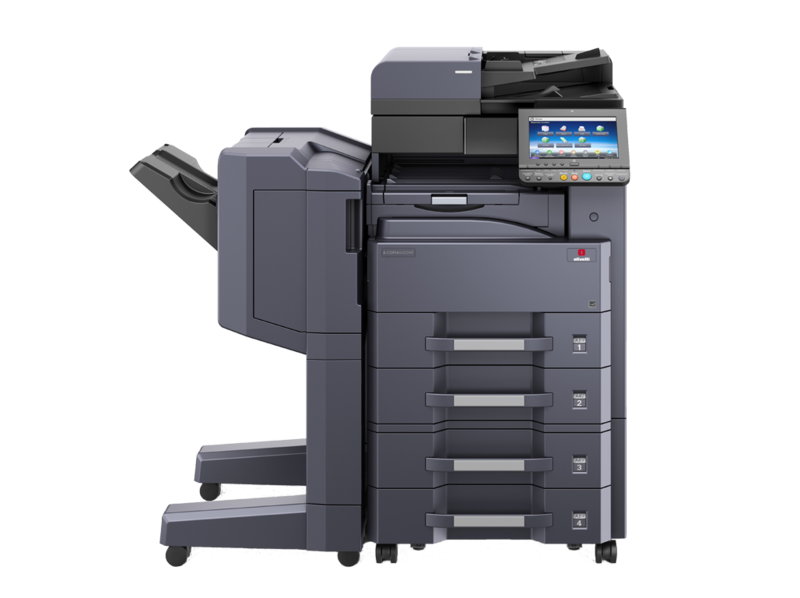 Direct Print & Mobile Printing Supported for Google Cloud, Airprint & NFC to Accommodate Wide Range of Mobile Devices. Improved Multi-touch Sensitivity on New 9” Operator Panel. First Copy Out Time in Colour of approximately 7.5 Seconds, 5.6 Seconds or 5.3 seconds. 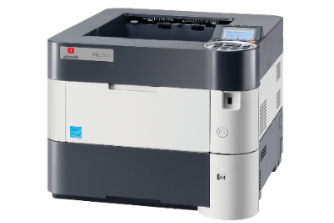 MF304 & MF364 Certified as "Highly Reliable" from Buyers Laboratory. Toner Yields: Black 28,000, Colour 26,000 Pages. Olivetti D Colour MF254/MF304/MF364 Brochure. 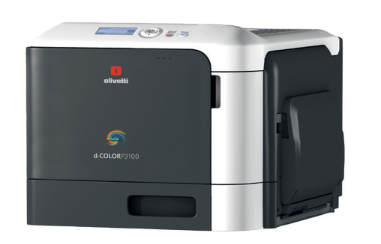 Colour Printer, Copier, Scanner, Fax option. Speeds of 25 or 35 Pages Per Minute in Colour & Mono. Standard Paper Capacity 1,150 Sheets. Expandable to 7,150 Sheets with Options. Supports Mobile & Network Printing. 9” Tilting Colour Touch Screen. Optional OCR Scanning Available with Latest Versions of Microsoft Office Formats. Environmentally Friendly Design; Empty Black Toner Container Used to Replace Old Waste Toner Bottle. 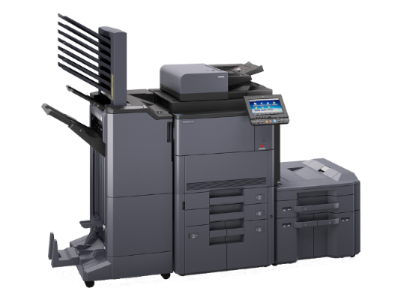 Toner Yields: MF3553 - Black 25,000, Colour 15,000 Pages. 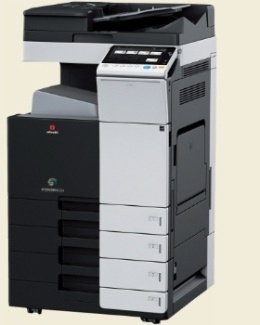 MF2553 - Black 20,000, Colour 12,000 Pages. Olivetti D Colour MF2553/MF3553 Brochure. 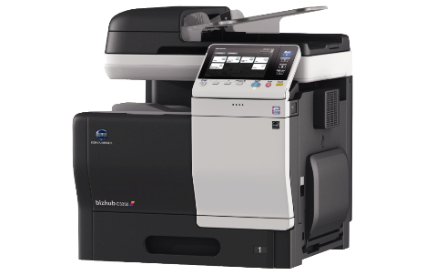 Colour Printer, Copier & Scanner, Optional Fax. Speeds of 45, 55 or 65 Pages Per Minute in Colour & Mono (with 100% Duplex Speed). Dual Scan Document Feeder as Standard. 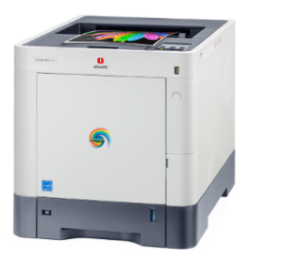 Offers Scanning Speeds of up to 240 Images Per Minute. 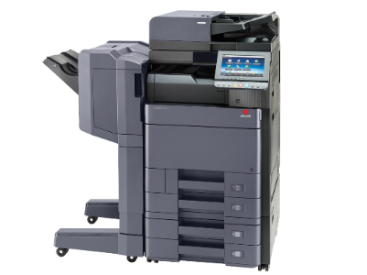 Capable of Handling SRA3 Paper in All Trays & Banner Paper Through Bypass. Powerful ARM Cortex Dual Core Processor, 4GB Memory & a 250GB Hard Disk. Maximum Paper Supply of 6650 Sheets With Optional Cassettes. Large 10.1" Customisable Touch-screen With Widgets. Standard NFC for Authentication. Extremely Low Energy Consumption & Impressive Eco Performance. Olivetti D Colour MF454/MF554/MF654 Brochure. 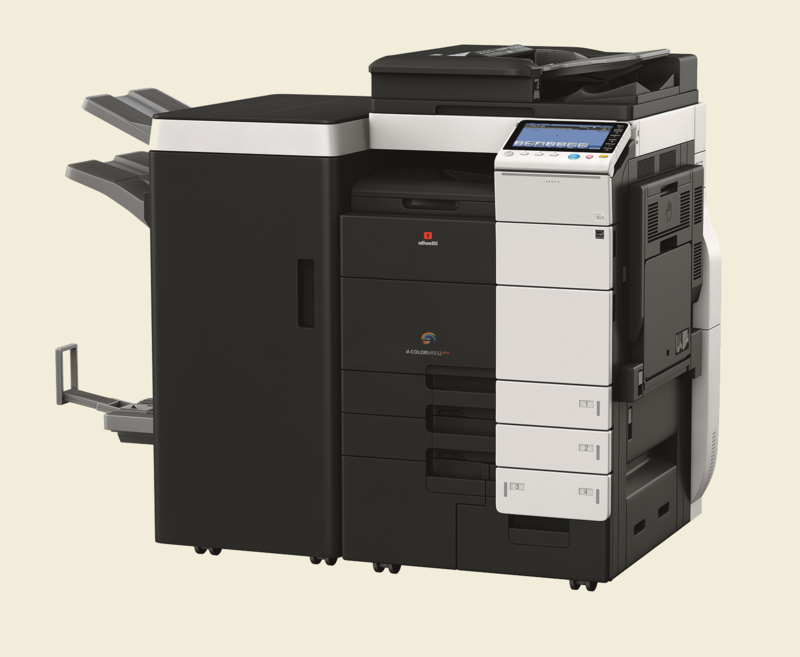 Colour Printer, Copier & Scanner, Optional Fax Systems. Engine Speed of 75 Pages Per Minute in Mono & 65 ppm in Colour. Standard Paper Supply of 3650 Sheets. Maximum Capacity of 6650 With Optional Cassettes. Intuitive 10.1" Touch-screen With Standard NFC for Authentication. Optional Fiery Controller for Graphic Applications. Massive Toner Yields: Black 48,900, Colour 33,200 pages. Olivetti D Colour MF759 Brochure. Copy, Print, Colour Scanner, Optional Fax. 25 Pages Per Minute Mono. 50 Sheet Document Feeder as Standard. 500 Sheet Paper Tray, 100 Sheet Bypass Tray. 1.2GHz Dual Core Processor & 1Gb Memory. Modular Design to Configure the Perfect System. Olivetti D Copia 255MF Brochure. 32 or 40 Pages Per Minute Mono. 9” full colour Touch Screen. 3 Document Feeder Options. 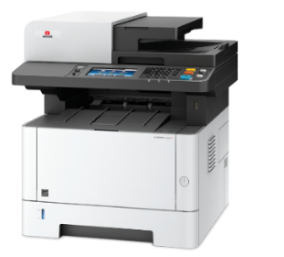 50-170 Sheet Capacity & Dual Scanning. 2 x 500 Sheet Paper Trays, 100 Sheet Bypass Tray. Standard 2GB RAM, 32GB SSD Memory & 320GB HDD* ( *Optional on 3201MF). Awarded Energy Star 3.0 Certification and Meets Blue Angel RAL-UZ171 Standards. Enhanced Data Management Security & Confidentiality. Toner Yields: 4001MF - 35,000 Pages. 3201MF - 20,000 Pages. Olivetti D Copia 3201MF/4001MF Brochure. 50 or 60 Pages Per Minute Mono. 2 x 500 Sheet Paper Trays, 150 Sheet Bypass Tray. Envelopes can be fed from Tray 1. Quad Core 1.2GHz Processor, 4Gb Memory, 8Gb SSD & 320Gb Hard Drive. Enhanced Data Security & Confidentiality. Hard Disk Compliant with AES. Olivetti D Copia 5000MF/6000MF Brochure. Copy, Print, Colour Scanner, Optional Fax System. 70 or 80 Pages Per Minute Mono. 2 x 1500 Sheet Paper Drawers, 2 x 500 Sheet Paper Trays, 150 Sheet Bypass Tray. Quad Core 1.2GHz Processor, 4.5Gb Memory, 8Gb SSD & 320Gb Hard Drive. Extensive Finishing Options Available. Stapling/Booklet/Punch/Mailbox. Olivetti D Copia 7001MF/8001MF Brochure. Speeds of 33 or 38 Pages Per Minute in Colour & Mono. 7" Touch Screen Operator Panel. 1.5Gb Standard Memory & 120GB Hard Disk. 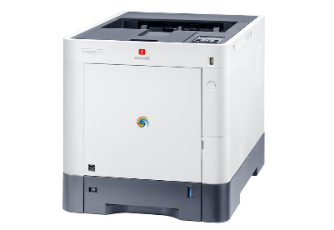 Mobile Printing Supported for Google Cloud, Airprint. Toner Yields: Black 13,000, Colour 12,000 Pages. Olivetti D Colour MF3301/3801 Brochure. 31 Pages Per Minute in Colour & Mono. 250 Sheet Paper Tray, 100 Sheet Bypass Tray. 1Gb Standard Memory & Optional 320Gb Hard Disk. Powerful Machine with Small Footprint. Toner Yields: Black 5,000, Colour 5,000 Pages. Olivetti D Colour MF3100 Brochure. 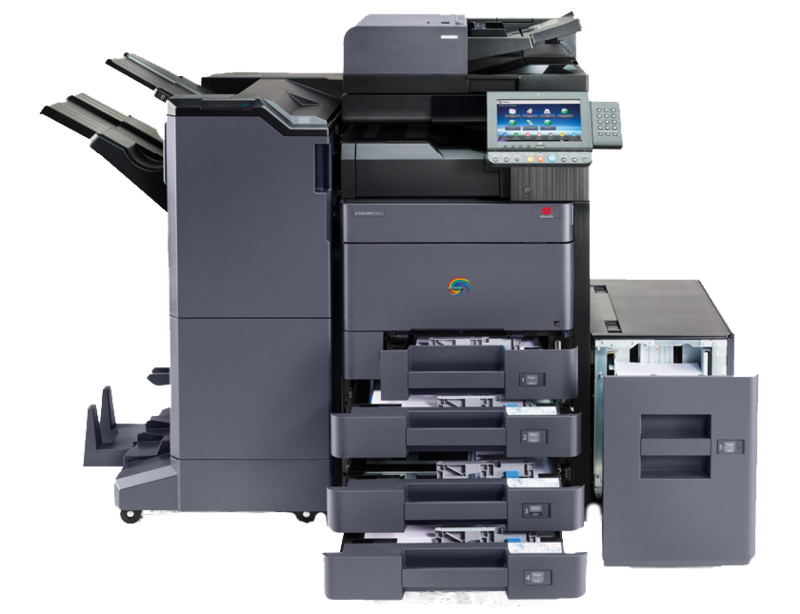 Colour Printer, Copier, Scanner & Fax as Standard. 26 Pages Per Minute in Colour & Mono. Dual Scan Document Feeder as Standard. 250 Sheet Paper Tray, 50 Sheet Bypass Tray. 512Mb Memory & Optional Memory Expansion. Wi-fi & Wi-fi Direct on MF2624 Plus Only. Toner Yields: Black 4,000, Colour 3,000 Pages. Olivetti D Colour MF2624/MF2624Plus Brochure. Wi-fi & Wi-fi Direct on P2226 Plus Only. Olivetti D Colour P2226/P2226Plus Brochure. Resolution of 1200 x 1200 dpi. Standard Network Connection & Duplex Printing. Olivetti D Colour P3100 Brochure. 30 Pages Per Minute in Colour & Mono. 1Gb Standard Memory & Optional 128Gb SSD Hard Disk. Toner Yields: Black 8,000, Colour 6,000 Pages. Olivetti D Colour P2230 Brochure. Fast 1st Print Out of 8 seconds in Full Colour. Resolution of 600 x 600 dpi. Toner Yields: Black 7,000, Colour 5,000 Pages. Olivetti D Colour P2130 Brochure. Fax as Standard on the 5514MF & 6014MF. 60, 55 or 45 Pages Per Minute. 7" Colour Touch Screen with Speakers. 75 Sheet Document Feeder on 45ppm Models. 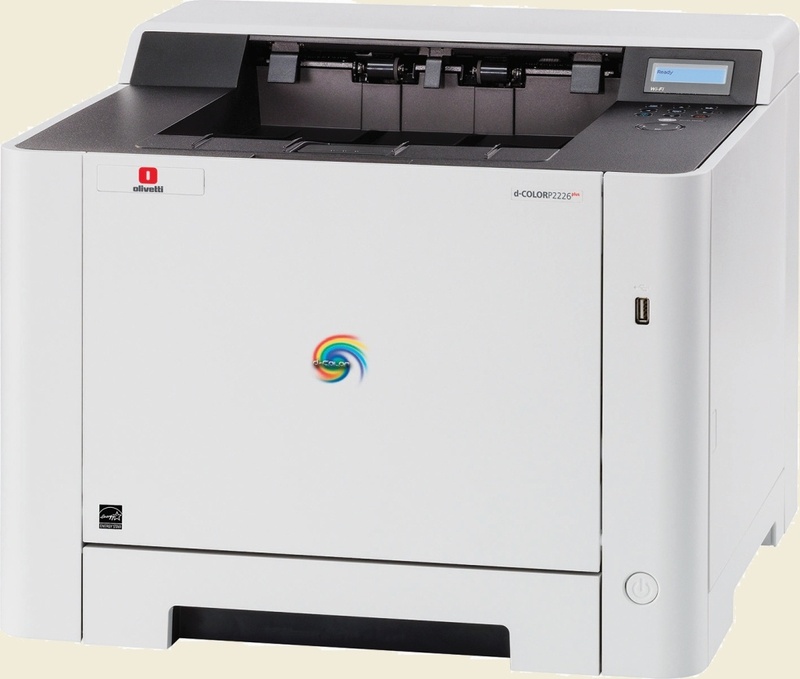 100 Sheet Dual Scan Document Feeder as Standard 5514MF/6014 MF. Prints at 1200 x 1200 dpi. Copy/Scan 600 x 600 dpi. Toner Yield: 4513/4MF - 14,500 Pages. 5514/6014MF - 25,000 Pages. Olivetti D Copia 4513MF Plus/4514MF Plus/5514MF/6014MF Brochure. Fax as Standard on the 4514MF. Olivetti D Copia 4513MF/4514MF Brochure. 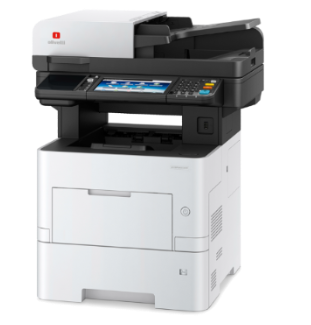 Copy, Print , Scan & Fax as Standard (Excludes 4023MF). 40 or 35 Pages Per Minute. 50 Sheet Document Feeder. 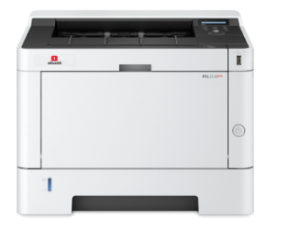 Dual Scan Document Feeder as Standard on 40ppm models. Colour Touch Screen on the Plus Models. 800MHz Processor, 512Mb Memory, 1200 dpi x 1200 dpi. Toner Yields: 3524MF - 3,000. 4023/24MF - 7,200 Pages. Olivetti D Copia 3524MF/4023MF/4024MF(& Plus Version) Brochure. Network Printing at 55, 50 or 45 Pages Per Minute. 15 Seconds Warm Up, 6 Seconds First Page Out. 1.2GHz Processor, 512Mb Memory, 1200 dpi x 1200 dpi. Toner Yields: L2555 - 25,000. L2545 - 15,500 Pages. L2540 - 12,500 Pages. Network Printing at 40 or 35 Pages Per Minute. 800MHz Processor, 256Mb Memory, Up to 1200 dpi. Toner Yields: L2540 (& Plus) - 7,200. L2535 - 3,200 Pages. 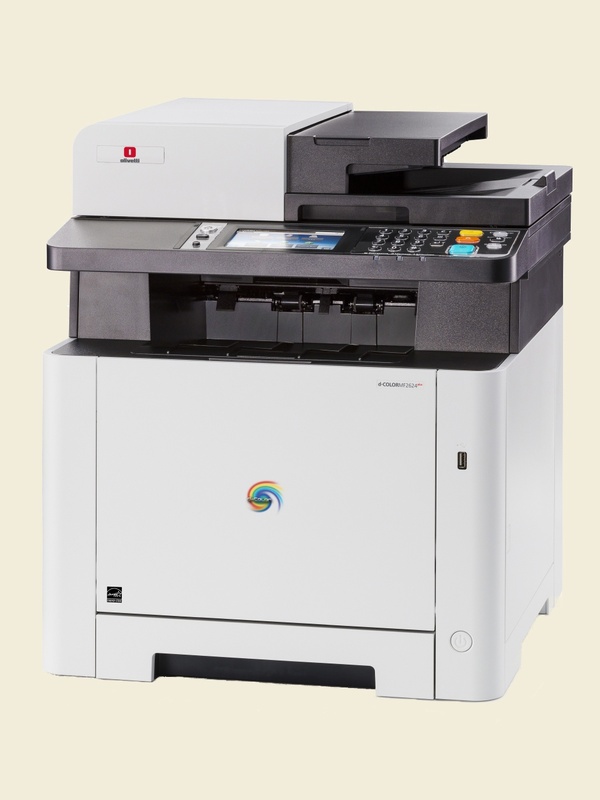 A used or ex-lease machine offers tremendous value. Savings of over £1500 are possible compared to the equivalent new machine and options. Colour Printer, Copier, Scanner with Optional Fax Kit. 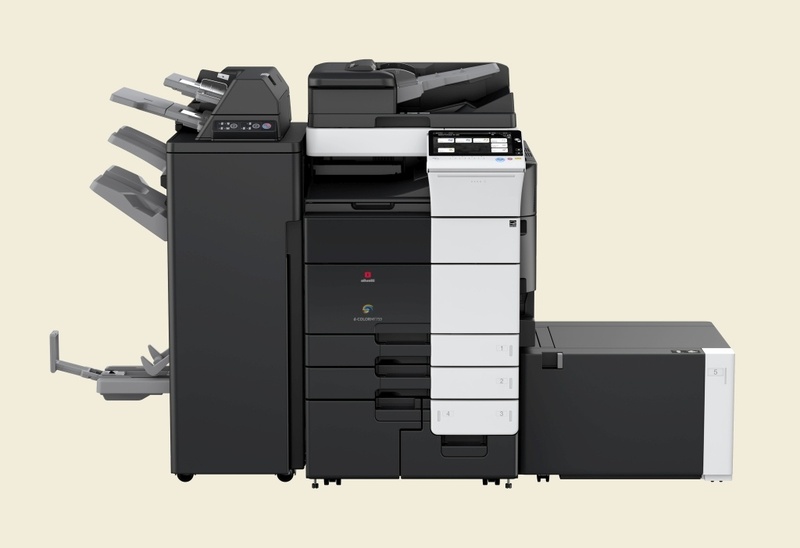 Speeds of 22 to 55 Pages Per Minute in Colour & Mono, with 100% Duplex Speed. 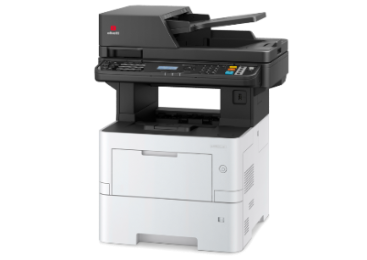 Document Feeder as Standard, Optional Dual Scan Available. 2 x 500 Sheet Paper Cassettes, 150 Sheet Bypass Tray. Can be Supplied with 4 Paper Cassettes. 250Gb Hard Disk, 2Gb Memory, 800MHz Processor. 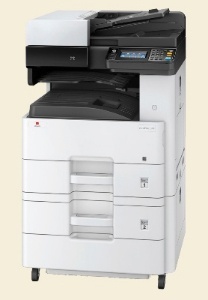 Direct Print & Mobile Printing Supported for Google Cloud, Airprint. "2014 Buyers Line of the Year" from Buyers Laboratory. Toner Yields: Black 27,000, Colour 25,000 Pages. Various Configurations Available. Massive Savings Compared to New Machines. Konica Minolta Bizhub C224e/C284e/C364e Brochure. Konica Minolta Bizhub C454e/C554e Brochure. Speeds of 33 Pages Per Minute in Colour & Mono, with 100% Duplex Speed. 320Gb Hard Disk, 1Gb Memory, 800MHz Processor. Additional Paper Cassettes & Machine Cabinet Available. Low Energy Consumption & Effective Use of Recycled Materials. Toner Yields: Black 10,000, Colour 10,000 Pages. Konica Minolta Bizhub C3350 Brochure.